Based in the heart of London, One Westminster is a registered charity whose vision is “A community where all lead fulfilling and self-sufficient lives”. 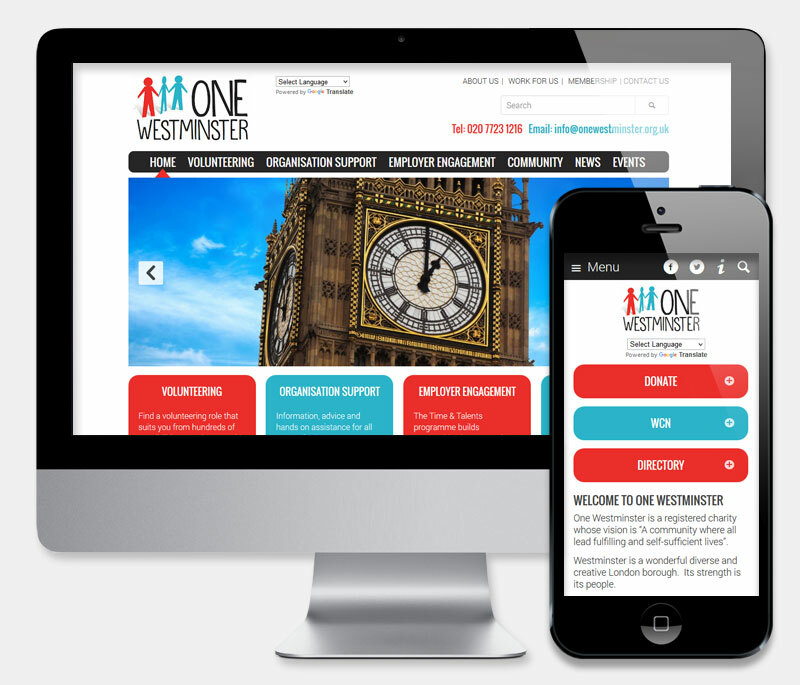 'One Westminster' approached us to create a characterful and appealing new website to promote the charitie's activities and to combine several existing charity websites. This fully responsive site was built on the latest Drupal CMS. Great care was taken to ensure that the site functions effectively on even the least capable mobile device, for an optimised browsing experience. To ensure that the charities existing, and future staff are able to administrate the site, training and materials wer supplied. CIVI CRM database integration supplies events and directory information. Creating a new and up-to-the-minute website for a busy London charity was never going to be an easy option, particularly as part of the work involved merging two rather antique websites -- but Website Development came through with flying colours. We at One Westminster are delighted with the results and found the team friendly, helpful and easy to work with. They listened to and interpreted our brief well and we now have a fast, easy to navigate website and most importantly for us, easy to update and create new material for. Feedback from users has been very good. Would definitely use them again!